Aisle and isle sound alike, but their meanings are different. Aisle is a noun meaning a walkway between two sections. Isle is a noun meaning a small island. 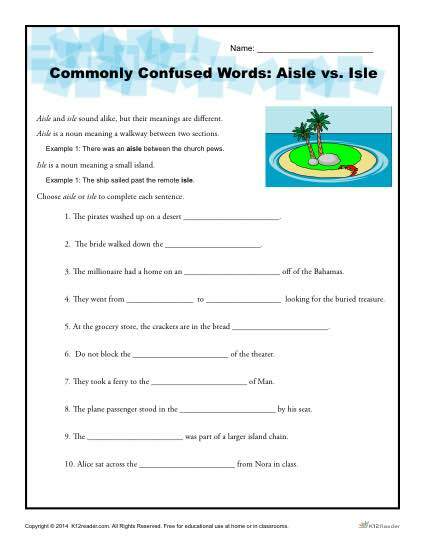 Students fill in the blanks to complete the sentences on this free printable worksheet.